Visiting family during the holidays often means doing a lot of things you don’t typically do at home. For me, one of those things is watching Netflix on my laptop. The room I’m staying in doesn’t have a television, and the living room is too central for me to watch my traditional hour of Netflix before bed without disrupting the masses, and so I’ve started cracking open the MacBook on my nightstand at night to satisfy the fix. Classic Netflix is a Chrome extension that makes that watching a little nicer. 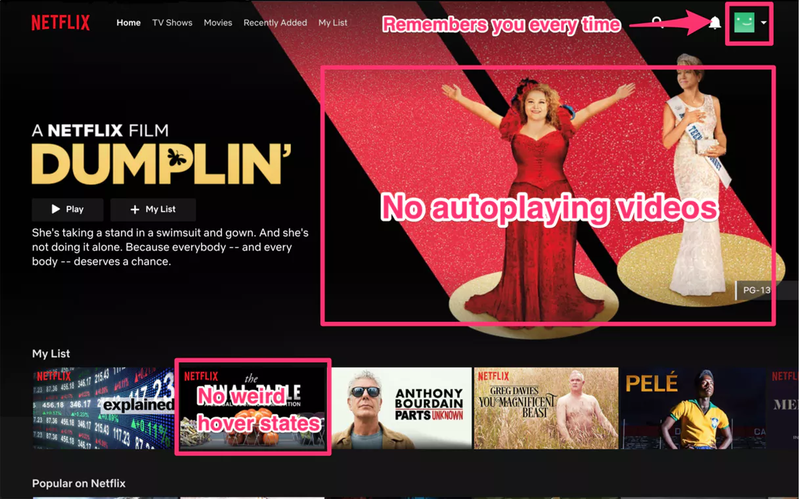 The extension transforms Netflix into something a bit closer to what it once was. 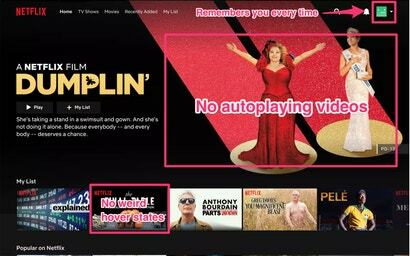 It ditches the hover effects and stops videos from autoplaying. It also remembers who you are, so if you have multiple different profiles tied to your account you won’t have to tell the computer you’re the one watching, not your kids or spouse. It’s not a huge difference from the traditional Netflix experience, but it makes things a little bit nicer.